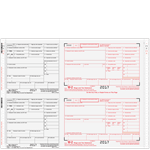 Print a total of 6 parts of Form W-2 using your dot matrix or other impact printer. Minimum order is 25 Forms. 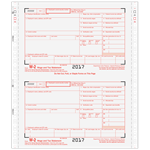 Double-width W-2 Forms for wide-carriage impact printers. Prints a total of 6 parts. Minimum order is 25 forms. 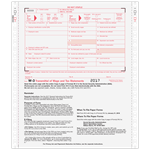 Continuous 4-Part (8 Copies total)double-width W-2 Forms for wide-carriage printers. Minimum order is 25 Forms. Form W-3 continuous, 2-part, carbonless. Use to send Forms W-2 to Social Security Administration. Minimum purchase 25 forms.